Mexico City was host to the 1968 Olympic Games and this is when Tequila was introduced to the world. In Sweden and big parts of Europe Tequila is a misunderstood beverage. We only drink the very worst kind of Tequila and we drink it as shooters with salt and lemons. I thought that we would begin with some history and some facts about Tequila. The origin of Tequila is a beer like drink named Polque that has been made out of agave in Mexico for ages. When the Spanish colonizers first arrived they wanted a stronger alcohol than Polque so they distilled it. The result was a hard liquor called Mescal. During the 1600’s the first organized distilleries were founded and about a hundred years later mescal was an important export good. The first licensed distiller was Jose Cuervo and he was also the first to sell Mezcal in bottles instead of barrels. It is said that Don Cenobio Sauza was the first to realize that the very best Mezcal (later Tequila) was made from Agave Tequilana Weber Blue. 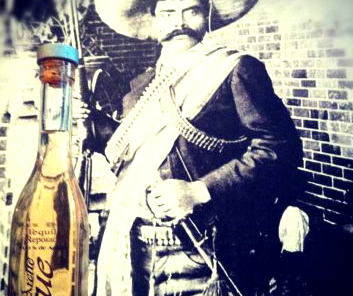 Felicio Romo founded the Tequila house Herradura in 1861 and he was the first to produce matured Tequila. 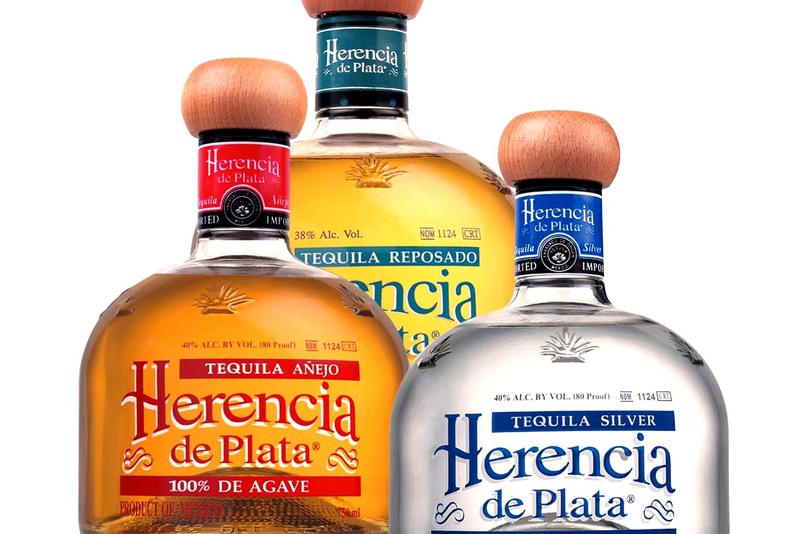 And these are still the three biggest Tequila producers today: Jose Cuervo, Sauza and Herradura. The name Tequila, which was not introduced until the late 1800’s, comes from the town around which the main Tequila producers are located. Today the production of Tequila is strictly regulated by Consejo Regulador del Tequila, CRT. Everything is controlled: Where agave can be grown, how much of it that must be used in the fermentation, how big the barrels or casks are allowed to be, where the Tequila is bottled and how the labels should look. Tequila is made of Agave Tequilana Weber Blue. It is a green cactus like plant but it is not a cactus. An agave field can only be harvested every 7th to 10th year and only the piña, or heart of the plant, is used as raw material. In Tequila 100 % agave the only raw material is the piña. The bad tequila we usually drink in Sweden is not made from 100 % agave and is actually called tequila mixto. This is made from at least 51 % agave and a lot of different additives. First you cut the piña, that can weigh up to 80 kilos in smaller pieces. Afterwards it is baked with steam in a stone oven or a preassure cooker for 8 to 72 hour. This procedure makes the starch in the piña turn into sugar. After the piña has cooled down it is mixed with water so that the sugar is dissolved. The fruit meat is then removed and what we have left is ”aguamiel”, or honey water. This juice is fermented either spontaneously in open wood barrels or with industrial yeast in steel tanks. 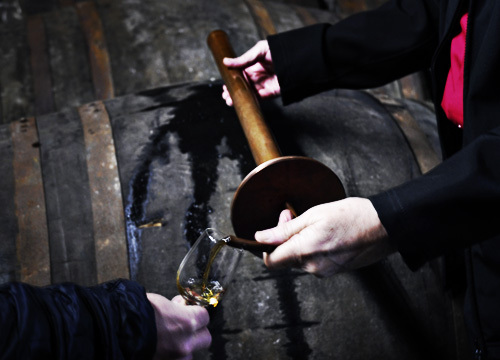 The fermented juice is distilled two or three times and is either bottled more or less at once or matured in oak barrels. There are 4 different classes of tequila: Blanco, Oro, Reposado and Añejo. All of them can be Tequila mixto and Silver, Reposado and Añejo can also be Tequila 100 % agave. Tequila Blanco is colourless and has not been aged. It is bottled within 60 days of the distillation. It is robust and has a hint of pepper. 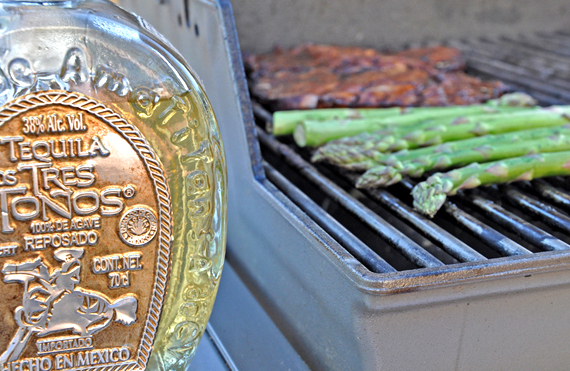 Tequila Oro is basically the same as blanco but you can add additives. Suger colour and taste substances are often added. Tequila Reposado is aged at least 3 months and at most 1 year on oak barrels. 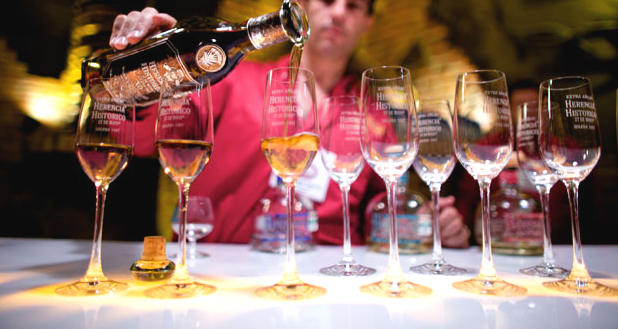 This short ageing gives the Tequila a fuller and more complex taste. It has a flowery bouquet and an amber colour. 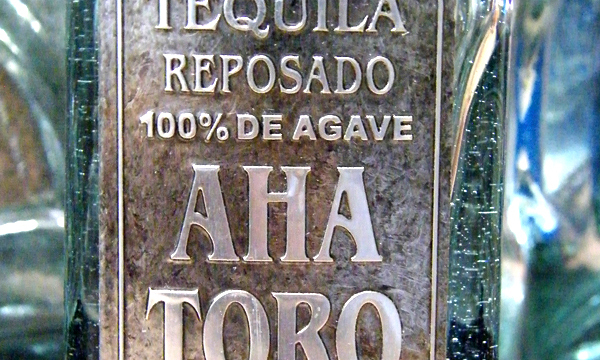 Reposado keeps the characteristic agave taste but is milder than Blanco. 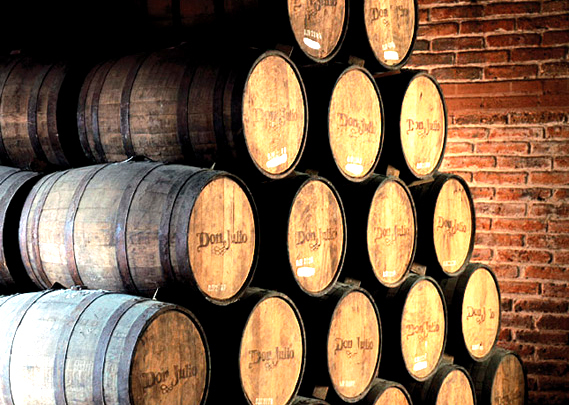 Tequila Añejo has to be aged on barrels for at least one year. It has a darker colour and a deeper taste of barrel. You drink this tequila as you would drink a malt whisky or a cognac. Tequila that is aged for more then 3 years can also bee called Muy Añejo. It has a golden amber colour with a palate of fruits (red apples), honey, a little acidity and a surprisingly faint taste of barrel. It finishes with some pepper, cedar wood and chocolate. The agave is grown in Los Altos where a lot of red apples are cultivated, hence the red appel taste in the tequila. This tequila is produced in an old fashioned way and the pina is baked in a brick oven. This gives it a character of baked pumpkin, sweet potatoes and raw sugar. It is distilled two times in copper barrels. It is then aged for six months in old bourbon barrels. It had a golden brown colour, a certain sweetness and a taste of vanilla and cedar wood. The opening has some fruit, some pepper, dried fruit and vanilla. It finishes in chocolate, some spiciness, salt and heat. The tequila is pressure cooked and then distilled twice in steel barrels. It is aged at least 3 months on barrels of American white oak that has formerly been used by Jack Daniels. The agave used to make this tequila is grown on the plain between Guadalajara and Tequila. This gives it a high fibres content and low water content and this in turn gives it a touch of citrus and herbs. This is a smoky tequila with golden amber colour and some red heated hints. Herbs, flowers and tar tablets come to mind. Opens relatively smooth with some honey, has a dry middle and finishes with pepper and smoke. The agave used to make this tequila is grown on the plains outside Amatitan. This gives it a high fibres content and low water content and this in turn gives it a touch of citrus and herbs. It is pressure cooked and is made in a special way, for example the old bourbon barrels they use are roasted and this gives this tequila its smoky flavour. This is a golden brown Tequila with sweetness, fruity, chocolate, vanilla and cedar wood hints. Arette Unique opens your palate with smooth and relatively sweet tones of chocolate, spices and some heat. This is very elegant and an exclusive Tequila. Only 3000 bottles are produced each year. The agave used to make this tequila is grown on the distilleries own fields in Tequila. This also has a high fibre content and low water content and this gives it a touch of citrus and herbs. It is aged for 6 years on early time’s bourbon barrels and is a tequila muy añejo. Don’t be afraid of Tequila! Try some good Tequila and you will not be disappointed.